The Centre’s apparently contradictory approaches to Kashmir have again caused confusion and disbelief on the ground. 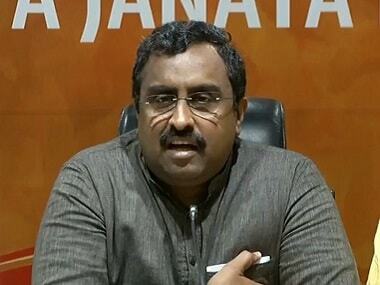 Speaking to the media in Srinagar on Thursday, BJP general secretary Ram Madhav confounded most observers when he offered `unconditional’ talks with the Hurriyat Conference. He said anyone was welcome to engage with the state or central governments without conditions. In principle, talks, and serious efforts to resolve all issues, are most welcome. But certain straws in the local wind indicate that this invite could signal a specific road-map—one that could involve a rough ride, and not get all that far. There have been rumours in recent days that a couple of figures from the `separatist’ part of the political spectrum might take on the heat and dust of active politics. If those rumours are true, Madhav’s open-ended invitation for talks might open the way towards a third alternative in Kashmiri politics. That would hardly be enough. The second significant problem with this approach is that almost all of those who have taken up arms, and who pelted stones and physically imposed shutdowns last year, are under 25 years of age. Many of them have more contempt for all kinds of political `leaders’ than even the most vitriolic right-wing television anchors. The large majority of young Kashmiris appear to back the radical ideas of leading militant Zakir Musa. They reject democracy and nationalism, and promote the exclusive glory of Islam. Musa was backed by Al Qaeda and the Taliban after he left Hizb-ul Mujahideen in mid-May. This second problem is demographically huge, since 60 per cent of Kashmir’s population is under 25. Indeed, almost half are teenagers or in their pre-teens. 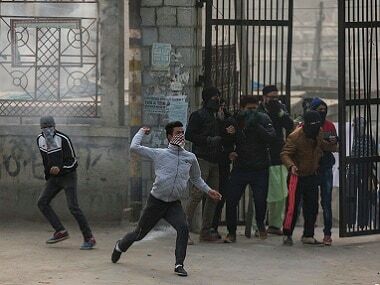 These were the age segments that manned barricades and imposed shutdowns for four months last year after security forces killed the popular militant commander Burhan Wani. 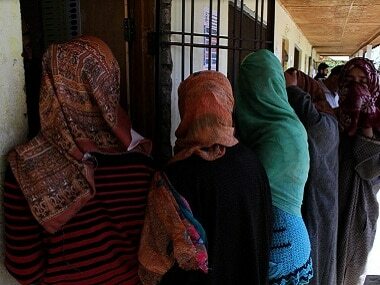 No `Hurriyat’ or other political figure has much influence over the radicalized majority among young Kashmiris. 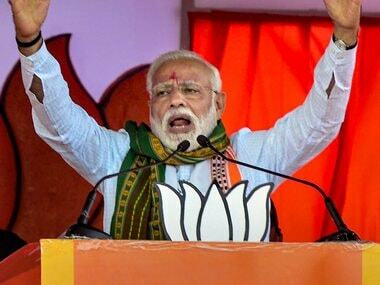 In fact, two of the figures about whose political revival there have recently been rumours have only a geographically or socially restricted influence in Kashmir. The third problem is the historical record of engagements with `secessionist leaders’ with a view to bring them into the `mainstream.’ When Prime Minister PV Narasimha Rao picked Shabir Shah and announced that `the sky is the limit’ for `maximum autonomy’ for Kashmir, Shah met Atal Behari Vajpayee, who was then the leader of the opposition. As if to endorse that, the then US ambassador Frank Wisner visited Shah at his Srinagar home. Yet, Shah was unable to gather the courage to cease the opportunity. Ironically, Naeem Khan, the foremost of those in the sting interviews and now in Tihar jail, was Shah’s close aide at that time. When the fiesty Abdul Ghani Lone was considering the extent to which he might engage in the electoral process, he was assassinated in May 2002, just five months before the assembly elections that year. Lone had yelled at the ISI chief at a meeting in Dubai just a fortnight before he was killed. He had already told Pakistan’s then President Musharraf the previous July (when Musharraf was in Delhi en route to a summit meeting in Agra) that Kashmiris were tired of violence and wanted to settle down in peace with a negotiated settlement. 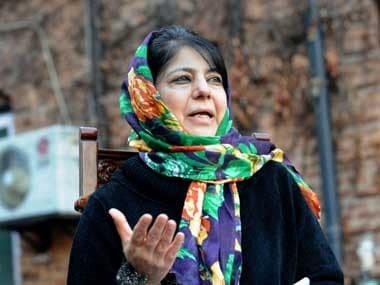 Especially after India referred to Pakistan as `terrroristan’ on the floor of the United Nations General Assembly just a few hours after Ram Madhav’s invitation for talks, the western neighbour will surely do its utmost to undermine any political process in Kashmir meant to lead towards a settlement that would leave Pakistan out. A fourth potential problem with such a putative road-map is that any move that might strengthen a third pole in Kashmiri politics would be resented by the main existing parties, including the BJP’s coalition partner, the PDP.